If you utilize computers that consume a high amount of energy, efficiency is a major concern when it comes to evaluating what your return on investment will be. Even a slight change in the consumption of energy can make a significant difference, and if your organization does not have measure implemented to detect these modulations in power efficiency, your ROI calculation could be inaccurate. There are many common causes of power usage efficiency (PUE) shifts, such as for example a particularly hot day causing equipment to heat up more than usual. Thankfully, in this modern age there is a kind of software you can install that will monitor all of the slight changes that take place in a system, and these can then be traced back to their root causes. Data center infrastructure management will give you information about all of the different kinds of data and the fluctuations taking place in your infrastructure, all on a real-time basis. DCIM software will not only give you an overall picture of energy usage throughout your infrastructure; it can also look at the subsystem level, revealing even the minute causes of energy loss or mismanagement. Take the example of a very hot day. As the temperature rises throughout the day, your equipment must use additional energy to keep cool and function properly. If these adjustments go undetected, there could be a sharp rise in the PUE figure. Any shift in PUE needs to be accounted for in order to have reliable predictions of ROI. Installing data center infrastructure management software can give you a picture of the shifts in PUE. If a major difference is detected at a certain time, the next step is to diagnose possible causes of the problem. In the case of a hot day, it could be that the ventilation or cooling system needs to be adjusted. Without DCIM, you would not know that PUE was fluctuating, and thus you would be unable to pinpoint the cause of the loss of ROI. DCIM does more than just save your organization money. By being able to understand the way power is processed in your infrastructure, you can be better prepared to implement changes that will maximize efficiency. Maximum efficiency equates to minimum energy consumption, and that will reduce the overall footprint your organization leaves on the environment. DCIM saves energy and money and is good for the environment. Any organization using a data center with a complex infrastructure will benefit from DCIM software. 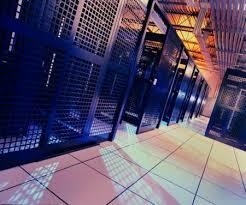 This entry was posted in Data Center Design, Data Center Infrastructure Management. Bookmark the permalink.